This clock/calendar widget's title pretty much sums it up. Not so flashy (flat) and orange. But sometimes simple is best. 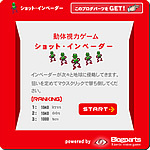 The code is simple to spot on the widget's webpage. Kelly Clarkson is one of the hottest American singer-songwriter in the billboards now. Clarkson has sold over 9,467,000 albums in the United States, becoming the highest-selling Idol winner. So we made this Kelly Clarkson gadget for here fans over the world. 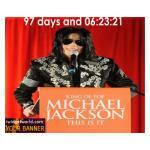 Michael Jackson’s series of 10 concerts at London’s O2 arena in July will be “the final curtain call”.Get this Michael Jackson O2 concert countdown widget if you a fan of the king of pop. Microsoft launch Internet Explorer 8 know as IE8, is now faster and secure dan ever before. 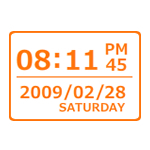 If you like Internet Explorer 8, crab this clock widget and place it on your profile, blog or website. Another great clock widget for your website, blog or social network space. Countdown Widget for the year 2010.